Check part values & quantities against part list. 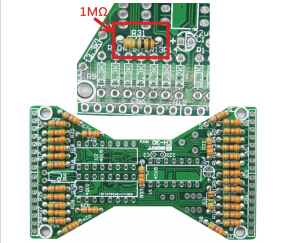 Always meter resistors values before soldering. Understand all part polarities and orientations. 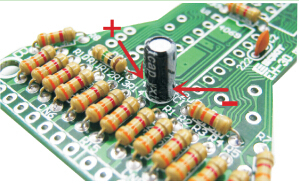 3.Install E- CAP: C1=22uF, Notice that the positive electrode of electrolytic capacitor can not be reversed. 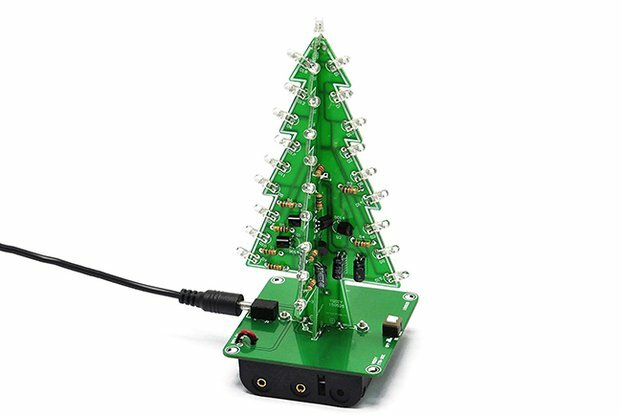 4.Install Directional switch. Bend the switch 90 degrees, and then install it to SW1. 5.Install ADJ-RES: VR1=104K. 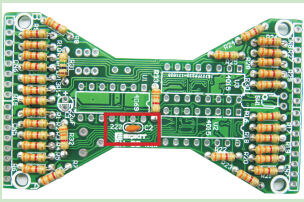 Note that the adjustable resistance should be soldered to the back of the circuit board. 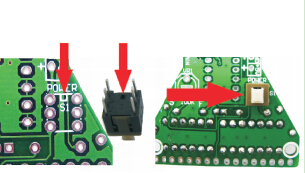 6.Install power switch: Pay attention to the installation direction installation direction of the switch. 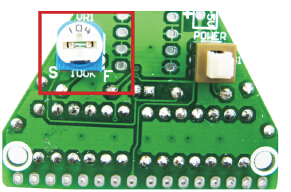 7.Install IC: Pay attention to the installation direction of the IC. U1=CD4069. U2=U3=CD4015. 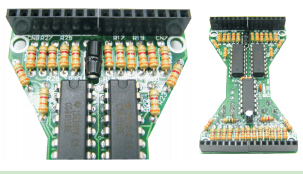 8.Install 8pin Connector: Refer to the picture below, install connector to CN5, CN6, CN7,CN8. 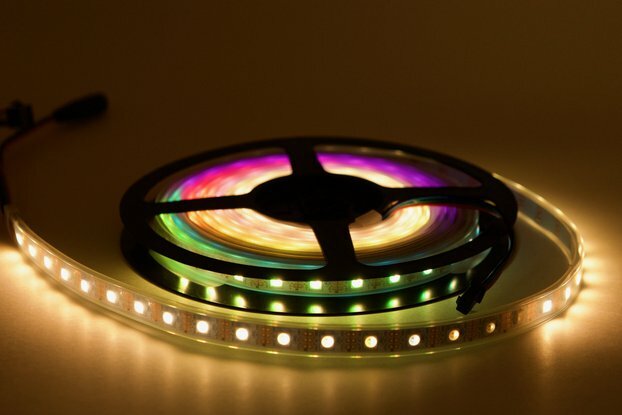 9.Install LED panel: Install 30 LED on the circuit board. The long foot is the positive pole. Install on the rectangle pad. 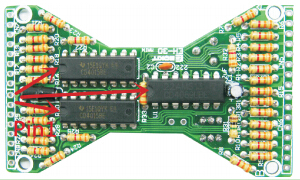 10.Install pin connector: Install the short side of the connector to the back of the circuit board. 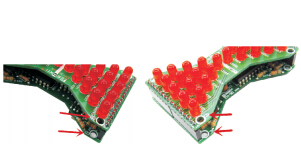 11.Install main and LED: Install the motherboard and LED gently press together A point to A, B point to B. 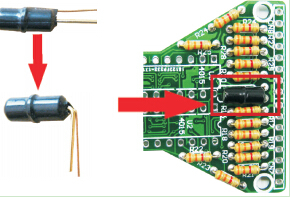 12.Soldering power cable: Red line is positive power supply DC5V suitable for USB. 3 section AA or AAA battery box.